So there I was sorting through the photo archives on my harddisks and I realised that I had a lot of photos of bike frames. I figured they would look nice on a wall but I don't have room for hanging bike frames on the wall and Wifealiciousness would have a fit so I made a poster instead. 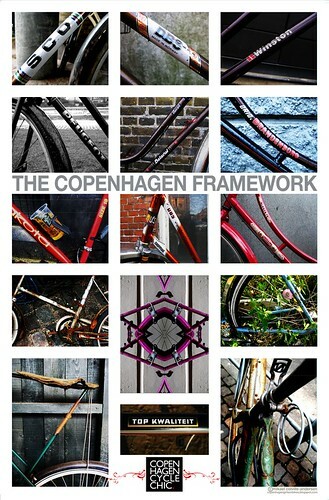 It's over at The Copenhagen Cycle Chic Online Boutique if anyone is interested.